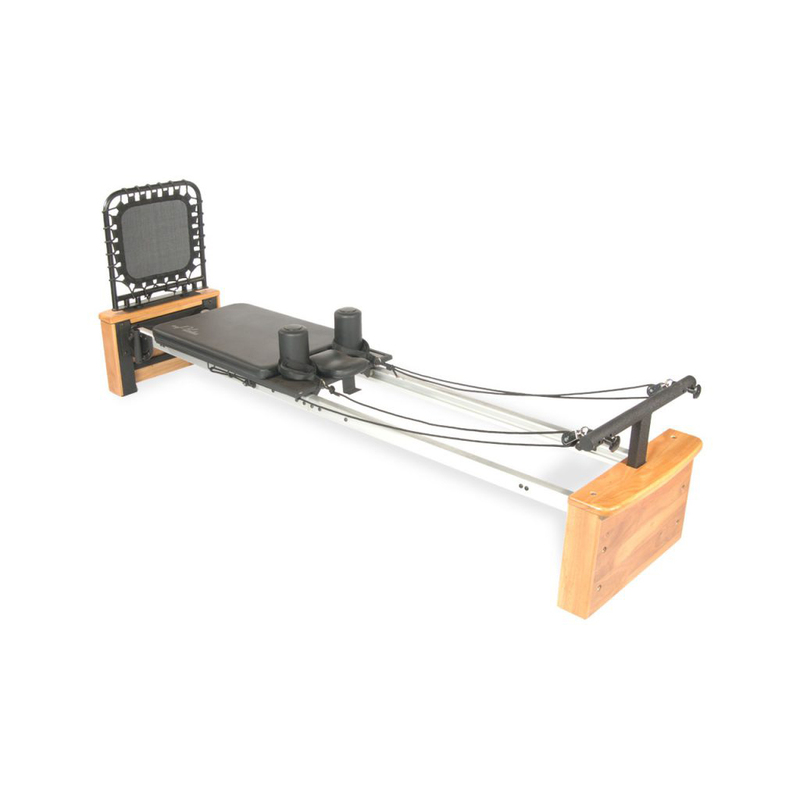 As an entry level Pilates reformer, the AeroPilates Reformer 287 is perfect for the budget conscious person who wants to achieve the long, lean physique that AeroPilates can help attain. The three cords allow you to customize your intensity on upper body, lower body and core Pilates workouts. This package also comes with two Pilates DVDs: Introduction to AeroPilates and Pure Pilates Level 1. To add a low-impact cardio workout to your AeroPilates routine, add the Cardio Rebounder (55-0011). This is sold separately. The 287 comes with a padded platform, padded footbar, textured standing platform, foam grips, adjustable headrest, and high density foam shoulder pads. With regular use it will tone and tighten every muscle while it lengthens your spine and retrains your body to move efficiently and gracefully. This beautiful gray and black machine will look elegant in any room in your home, but it also folds and wheels away for easier storage and portability.